The majority of the moth trapping at Shandy Hall takes place in what used to be a quarry. Stone was taken from the ground and the resulting spoil heaps formed a miniature landscape of humps and hollows. When the supply of stone came to an end the main part of this acre of ground became a paddock. My understanding is that the pathways that meander throughout were made by horses. Three mighty ash trees grow in the centre - all fortunately free of die-back - and the grasses and plants that encircle them are maintained to encourage as much insect life as possible. The white sheet is important. When a moth is attracted to the light it sometimes becomes completely disorientated and fails to enter the trap at all, coming to rest just outside. If the trap is placed directly onto grass then those moths would be very difficult to spot and would also be in danger of being trodden upon. The warmth in the middle of last week brought over a hundred moths to the trap but not a huge variety of different species. A couple of Green Carpets added some colour to the congregation but the palette was mainly brown and shades of brown. The tiny ghost-like Aethes smeathmanniana was one exception. Only seen once before at Shandy Hall and that was one of our UPenn interns who had identified it as a new species. Not having seen it myself I thought this little scrap of tissue might increase the number - but it was not to be. The moth is common throughout the UK though it is thinly distributed in North Yorkshire so it is good to be able to report that there have been two sightings in Coxwold. Aethes refers to 'unusual' or 'strange'; the second part of the scientific name is in honour of H. Smeathman (1750 -87) a British entomologist whose main area of studies was termites. The Common Marble is the name that is sometimes given to Celypha lacunana. This moth proved too difficult to identify without Charlie Fletcher's help. It is so variable in colour that I am not certain I would be able to identify it when it next comes along, for it is very common throughout the United Kingdom. Our other examples have all presented themselves differently. The Green-brindled Crescent is much easier to identify, as long as it retains the sprinkling of green on its wings. Green is a delightful colour in the moth world but it tends to fade quickly. 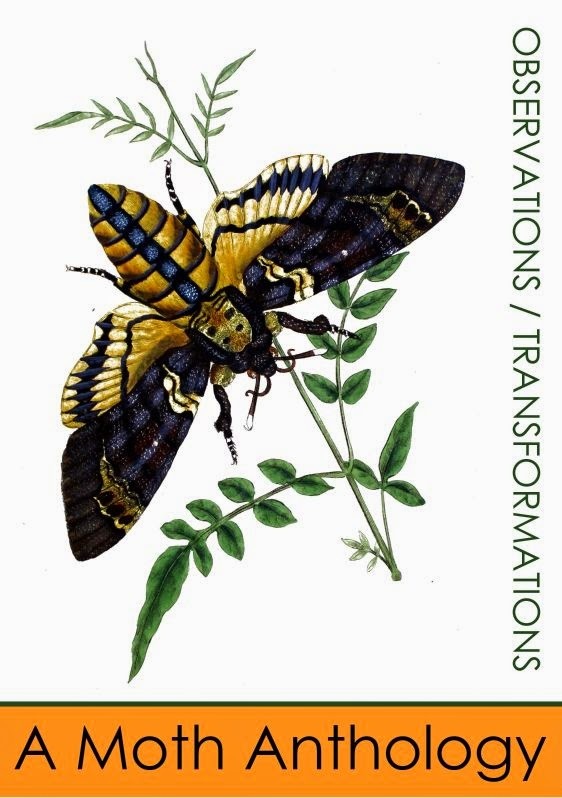 The illustration from British Moths and their Transformations by Humphreys and Westwood is a pretty accurate record. The final moth in this group was found in last night's trap which contained a Snout, a Rosy Rustic and the Green Brindled Crescent. The Garden Rose Tortrix varies a little in how the pattern and colour appear on the wings and it is only the second to be recorded here. No midges, no sexton beetles, no water boatmen - it was all too cold. What will the equinox bring?